The Bee Jays are leaving what was left of the Jayhawk League. The league had been in existence since 1976 but when the El Dorado Broncos, Derby Twins, Great Bend Bat Cats, and Haysville Aviators left the league, the remaining teams had tough decisions to make. The Liberal Bee Jays, Hays Larks, Dodge City A’s, and Oklahoma City Indians remained and talked of keeping the league together and adding at least two more teams. That did not work so the Bee Jays, A’s, and Larks are moving to the Kansas Collegiate League Baseball. Here are press releases from the Jayhawk League and the KCLB. September 25, 2018: Pursuant to a press release issued this afternoon, The Hays Larks, Liberal Bee Jays and Dodge City A’s will be joining Kansas Collegiate League Baseball (KCLB). The departure of Derby, Great Bend, El Dorado and Haysville from the Jayhawk League in August left us with only 4 members. Since that time, Hays, Liberal and Dodge City have been working hard behind the scenes to find a way to stay together, play each other, and still be able to compete at the National Baseball Congress World Series. After much discussion and exploration, the best option to accomplish those goals was to join the KCLB. The Jayhawk League had a long, storied and successful run, and while we worked hard to try and keep the Jayhawk League independent by adding additional teams, we regret that option did not work out. However, the KCLB consists of quality teams with NBC experience and success and by adding our own extensive experience and success, the combination creates the best summer collegiate baseball league in Kansas. We are excited to join the KCLB and look forward to continued success and new rivalries! More information is included in the KCLB press release, posted below. Top Jayhawk League teams join Kansas Collegiate League Baseball. KCLB acquires top teams from Jayhawk League. Wichita, KS: Kansas Collegiate League Baseball is pleased to formally welcome three established franchises from the renowned Jayhawk League. The Hays Larks, Liberal Bee Jays, and Dodge City A’s. The KCLB and former Jayhawk league leaders have come to an agreement to merge into one quality, competitive driven league. The KCLB will split into two division’s hosting the Jayhawk West Division. The vision for a league with the top teams in Kansas competing all summer, has come to fruition. The KCLB will now be composed of, The Wellington Heat, Kansas Cannons, Hays Larks, Liberal Bee Jays, Dodge City A’s, Clearwater Outlaws, Park City Rangers, Valley Center Mud Daubers, McPherson Pipeliners, and Kansas Curve. The KCLB looks to build off of last years success with this move. The KCLB posted the highest winning percentage (.778) of all leagues in Kansas in the NBC World Series, with a 7-2 record overall. With key wins over former Jayhawk league teams and current Sunflower league teams. The two KCLB teams finished 3rd and 9th last year. With this move the KCLB will now have the strength of the Jayhawk league infused into one league. Hays, Liberal and Dodge are the top three teams from the Jayhawk in the 2018 season. The current KCLB makeup is the most competitive makeup in the state of Kansas. 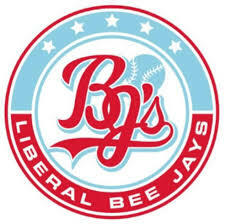 The Liberal Bee Jays have 5 NBC Titles, seven 2nd place finishes. The Wellington Heat, have 2 US Open world titles and one NBC title, a 2nd place finish, and have placed top 5, fourteen times. The Hays Larks have five 2nd place finishes, and fourteen top 5 finishes. The Park City Rangers have one top 10 finish, three top 15 finishes, and 2 top 20 finishes. The Kansas Cannons have three top 10 finishes, and two more in the top 15. The Dodge City A’s have one top 10 finish and represented the Jayhawk last year in the NBC. The Valley Center Mud Daubers have one NBC appearance in 2017. This decision was made unanimously with full support from current owners and umpires affiliated with the KCLB. PSA and the NBC are aware of the current league members and are excited for the future of our franchises and league.